Email productivity app Boxer is challenging Microsoft’s Outlook app for iOS and Android with the addition of calendar support. On iOS, you’ll find your calendar integrated right into the same app as your email and contacts. 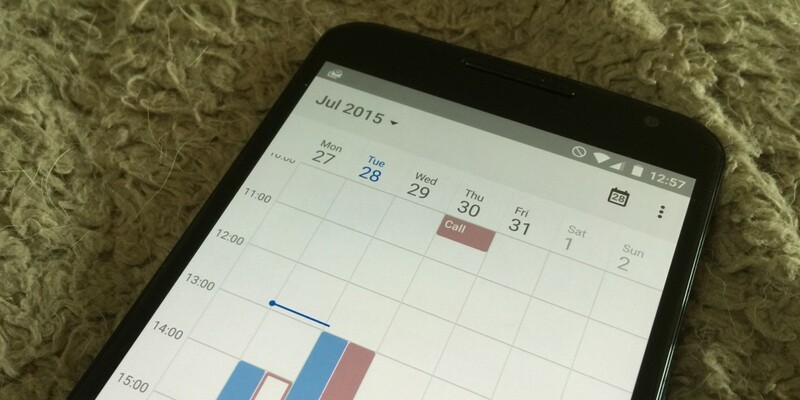 On Android, Boxer has opted to build a completely separate calendar app (currently rolling out). This is because separate apps can ‘talk to each other’ better on Google’s OS and the developers say they wanted to play to each platform’s strengths, although there are strong business reasons for the strategy too, which we’ll get to. Having tried both versions, it all feels so much tighter on iOS. As anyone who uses Outlook on iOS will already know, there are benefits to having your calendar just a tap away from your email inbox. Boxer allows you to quickly select a bunch of times that you’re free and add them to an email when you’re trying to arrange a meeting time. And while Outlook sometimes feels like it’s trying to overwhelm you with options and features, Boxer hides its advanced options (such as Evernote integration and to-dos neatly away). On Android, the calendar and email apps aren’t nearly as integrated. Sure, you can switch between them nicely but I’m not sure that the trade-off Boxer made has quite paid off from a UX point of view. The speed gained by having everything in one place is a huge advantage of the iOS version. In addition to the new calendar, both platforms have updated email features, including the ability to add and change account colors, and design tweaks. On iOS, there’s also improved iPad and Apple Watch support. So, a worthy rival to Outlook? On iOS perhaps, and it’s certainly an app I’ll be spending more time with on my iPhone. While I’m not such a fan or the Android implementation, for Boxer there’s a strong business case for the approach they’ve taken. Boxer Calendar is set to ship soon as the default calendar on Cyanogen devices, and the separate email and calendar apps are also designed to be customized by enterprise customers to allow employees to use them in a professional context. For end users, Boxer is $4.99 on iOS, while the Android apps are free to download, with in-app purchases to unlock unlimited accounts, Exchange support and other features.